Google Pixel 3 Lite will allegedly be a mid-range option from the company and it could launch soon. Here’s what we know so far. Google introduced two Pixel phones back in October, but it looks like a third variant of the Pixel 3 series could also be on the way: the Pixel 3 Lite. According to rumours, the Pixel 3 Lite will be a more affordable option with a price tag of around $400 to $500 and is codenamed ‘Sargo’. The past few days have seen several images, and even photo samples of the Pixel 3 Lite being leaked online. Whether Google actually launches a Pixel 3 Lite is still unclear. After all, the company has maintained that it views Pixel as a premium smartphone brand, which is supposed to compete with Apple’s iPhone. Launching a mid-range, affordable Pixel 3 Lite would be contrary to what the company has claimed so far. Still the Pixel 3 Lite leaks are not going anywhere, and here’s a look at what has been reported. According to Russian website Rozetked.me, which leaked the first set of images for the Pixel 3 Lite, the phone will have a plastic body and a 5.56-inch IPS display with FHD+ resolution which will be 2220 × 1080 pixels or 444 ppi in terms of pixel density. The report also claimed the Pixel 3 Lite will be powered by Qualcomm Snapdragon 670 processor. However, other reports have claimed the Pixel 3 Lite will be powered by the Qualcomm Snapdragon 710 processor. Either way Google will likely continue with the 4GB RAM option on the phone like with the other two Pixel 3 phones. The Rozetked.me website also claims the phone’s base variant will come with 32GB storage, which if it turns out to be true will be disappointing for the device priced at $400-$500. Google Pixel 3 Lite will likely have a plastic body, according to the leaked images. However, the image shared by Rozetked.me also had a C logo at the back of the alleged Pixel 3 Lite, instead of the G, which is seen on the Pixel phones. This does raise some doubts about the authenticity of the claims. 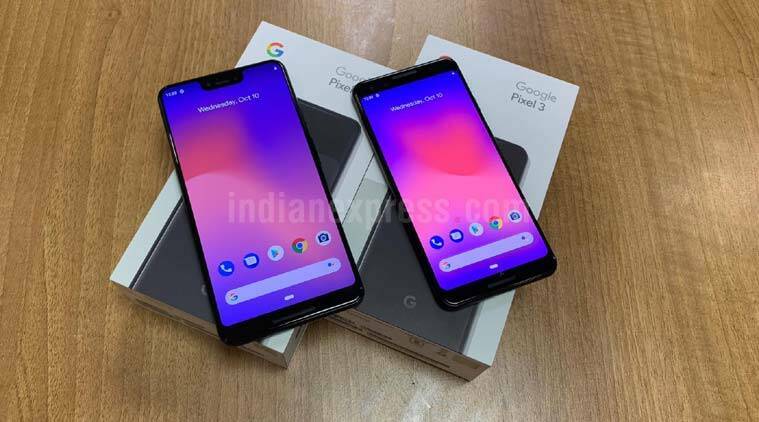 Meanwhile, another image shared by the tipster @VenyaGeskin1 on Twitter, claims to show the Pixel 3 Lite ‘Sargo’ next to the Pixel 3 smartphone. Again the veracity of the image shared cannot be confirmed, though the smaller Pixel 3 Lite does appear to sport with reduced bezels. Reports have also claimed it will have a 3.5 mm headphone jack, which is interesting. Google removed the headphone jack on both the Pixel 2 and Pixel 3 series, but it looks like the affordable option could once again see the feature being included. According to reports, Pixel 3 Lite will continue with the same 12MP rear camera and sport a single 8MP front camera. The newer Pixel 3 series has dual front cameras of 8MP+8MP each. Google has included Portrait mode on both the front and rear cameras of the Pixel 3 series, like it did with the Pixel 2. The Portrait mode is driven by software, and it should likely be a part of the Pixel 3 Lite as well, in case it does launch. Rozetked also managed to get their hands on a prototype version of Pixel 3 Lite and shared camera samples from the phone. Based on the sample, it does not look like this camera will offer any compromise in terms of performance.